Back when I made Austin these appliqued burp cloths, I also made these ribbon-lined ones with cloth diapers. 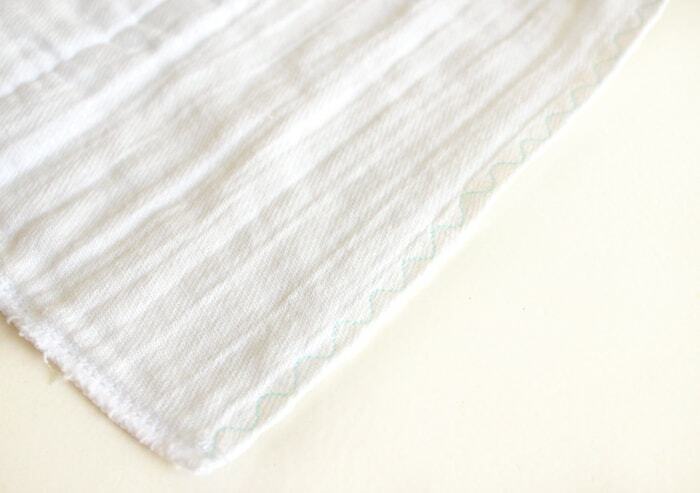 This burp cloth tutorial is a little easier, so you can make lots! 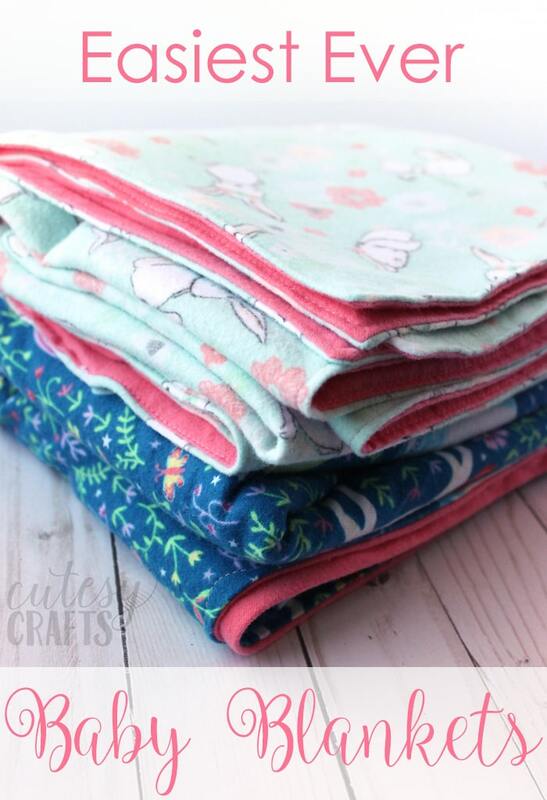 Just a little bit of ribbon and some decorative stitching, and you’ve got yourself some cute and custom burp cloths. With all the different kinds of ribbon out there, the possibilities are endless! ribbon – Get durable ribbon. They are going to get washed a lot! thread – You need some to match the ribbon and some to make the decorative stitches. 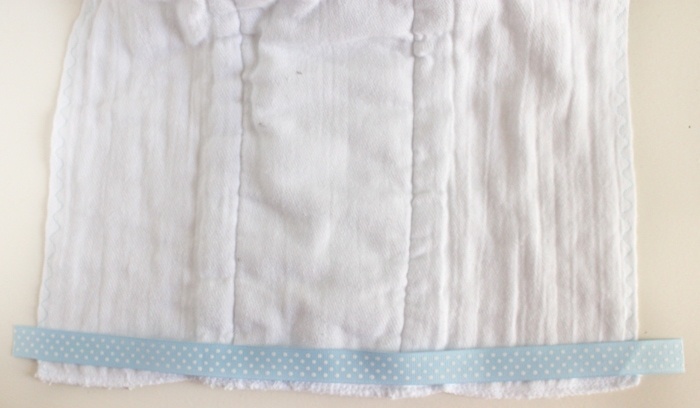 Choose some colorful thread and sew down both long sides of the cloth diapers with a decorative or zig-zag stitch. This isn’t 100% necessary, but it makes them look much cuter! Cut a piece of ribbon the length of the short end of the cloth diaper plus a little extra (about 1/2 inch) on each side. 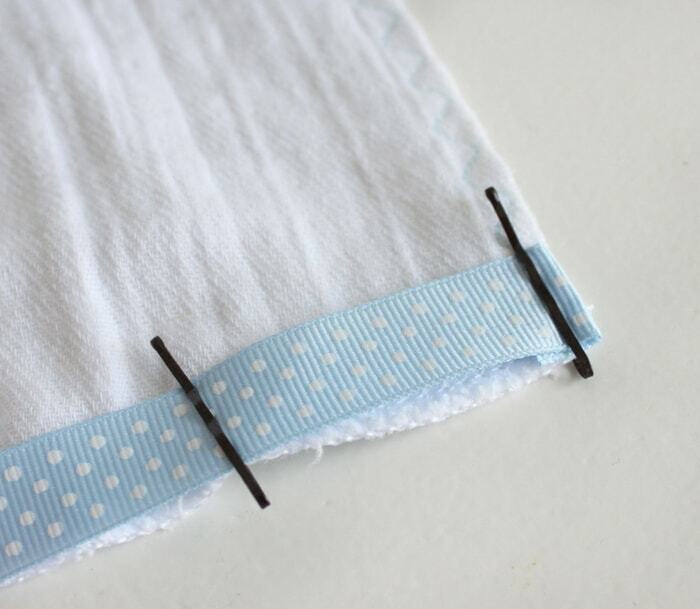 Fold the ends of the ribbon under and use bobby pins (or just regular pins) to hold it in place along the edge of the cloth. 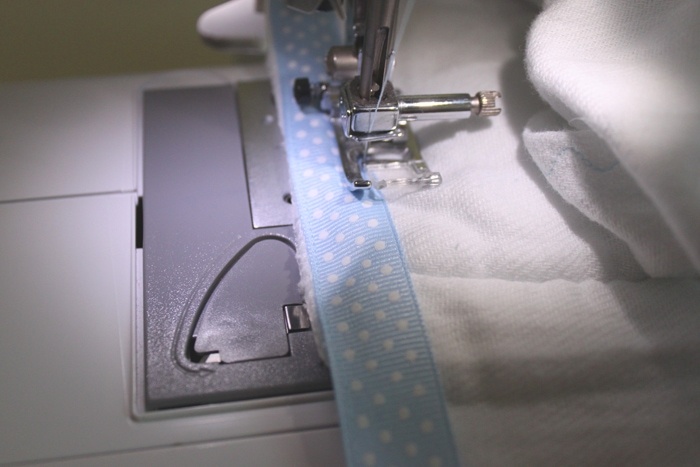 Sew around all sides of the ribbon, getting as close to the edge as you can. Make sure you don’t sew over any of the pins! Repeat on the other short end of the cloth diaper, and you’re done. Aren’t they cute?! 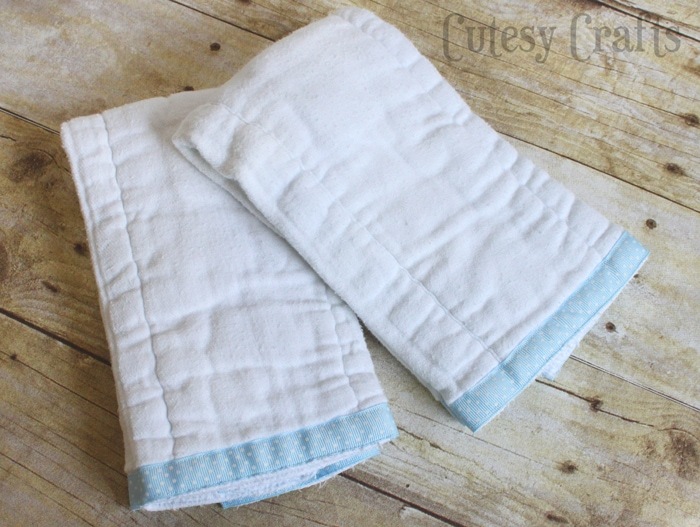 Use this burp cloth tutorial to make a bunch of these for a baby shower gift. Ooh, you could even make some cute coordinating hair bows for a little girl! You would get all of the “oohs and aahs” at the baby shower for sure! You can make some for your own baby too. 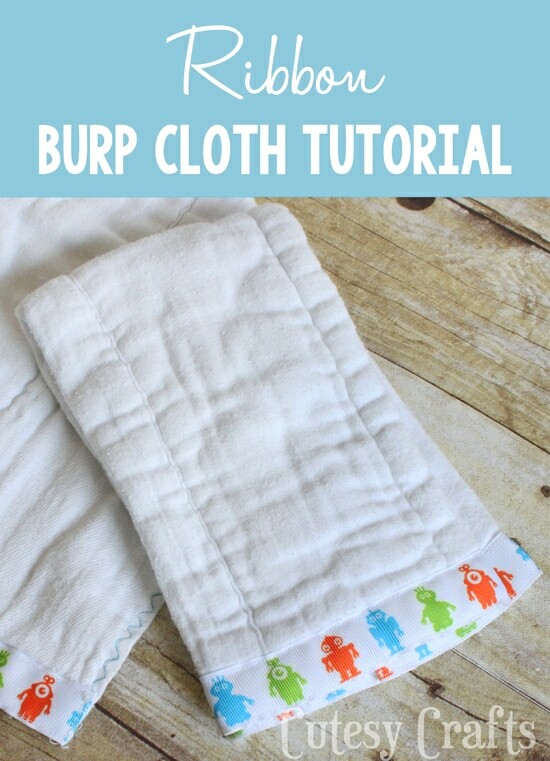 You can never have too many burp cloths. Austin is definitely making good use of these ones. Check out my other baby crafts for inspiration.